RBI Hawker is a world class Helicopter Rotor Blade Repair and Overhaul Facility in the Middle East servicing the needs of both the commercial and military helicopter operators in Africa, Asia, Eastern Europe and the Middle East. The rotor blade repair facility, located in Dubai’s Jebal Ali Free Zone, offers a central location with good transport links by sea, air and road. This allows RBI Hawker to transport blades door to door, from anywhere in the region, saving time and costly travel by air or sea. RBI Hawker employ a handpicked team of rotor blade repair professionals since operating commenced in 2005. 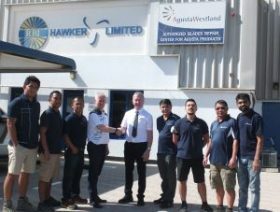 The facility is a Bell Helicopter Customer Support Facility (CSF) and an AgustaWestland Authorised Blade Repair Centre, with approvals for all Bell commercial and military helicopter rotor blades repair and overhaul, as well as the AgustaWestland AW139 and A109/119 series blades. RBI Hawker see training and continuous professional development a priority for staying leaders in their field. High precision repairs require a high precision finish coating. 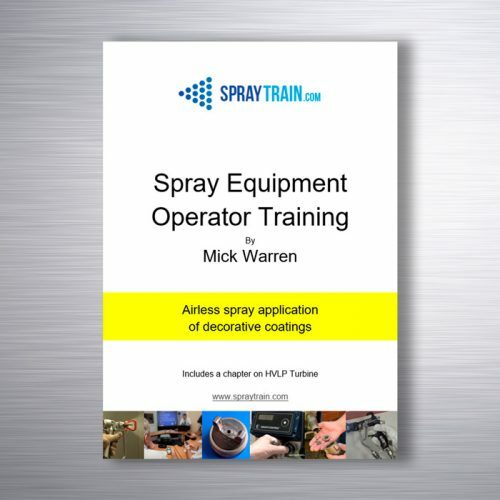 RBI Hawker contacted Spraytrain.com and sought a bespoke airspray training course. 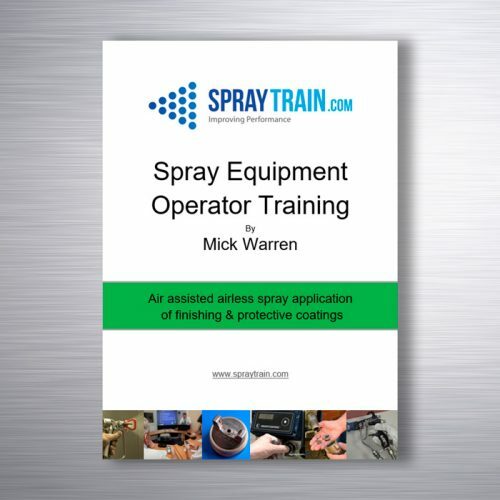 The course provided by Spraytrain.com was part theory and part practical with the inclusion of course reference manuals. Controlling coating film thickness, reducing overspray and ensuring an even coating film thickness were just some of the subjects included in the training. Emlyn Williams (RBI Hawker’s Operations Manager) sees training as a key feature to their success. “We have used Spraytrain.com in the past and much of our current procedures are built on the technical information provided on their courses”. RBI Hawker Limited is a Joint Venture between Hawker Pacific Airservices Ltd, Dubai, and Bell Helicopter USA and holds UAE General Civil Aviation Authority (GCAA Car 145) and European Aviation Safety Agency (EASA Part 145) approvals.